Chicago Bulls point guard Derrick Rose picked up an injury for the third time in five games on Thursday night against the Toronto Raptors. Back-to-back major knee injuries forced Rose out for the entire 2012-13 season and all but 10 games of the 2013-14 season. It looks like he tweaked his ankle again when he left the game with two minutes left against Toronto. But after the game he said it was a hamstring injury. 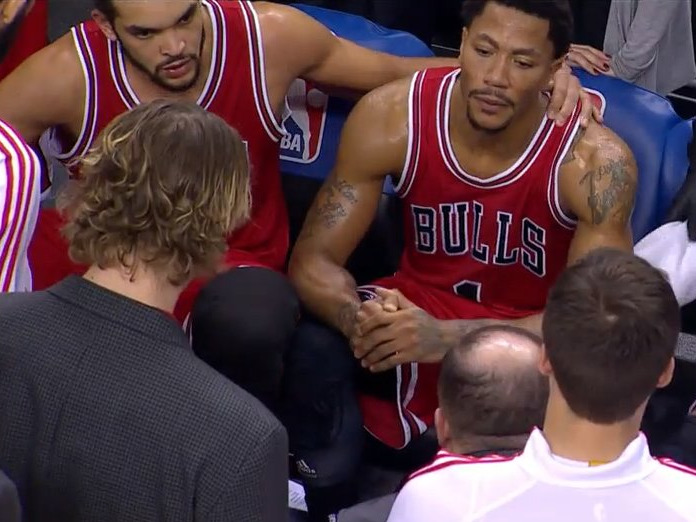 Rose managed to sprain both his ankles at the same time in a loss to the Cleveland Cavaliers on October 31st, forcing him out for two games. In his first game back, he reaggravated those ankle sprains and missed another two games.